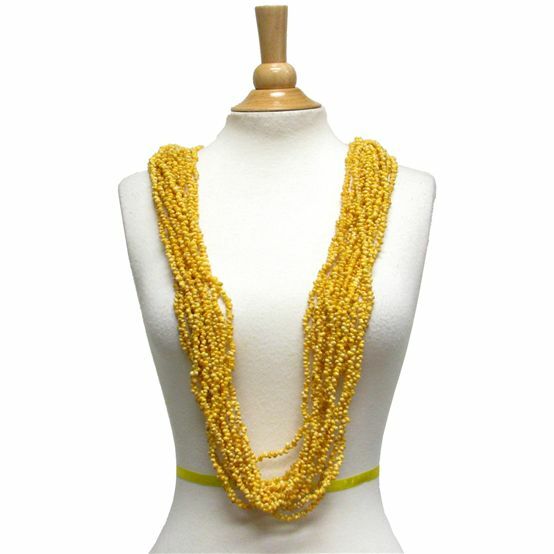 This Mongoshell Yellow Lei is of approximately 4 feet (~120cm) in length with 12 strands. I wore this one last week to a fashion show here in Sydney and I could see the eyes wondering where could I get one. I love this necklace. Beautiful - that it goes with green dress I bought. My Hula sisters will be buying matching necklace. The only problem is a few shells keep breaking off unpacking and handling it each time. Any suggestions?